I had a Logan 820 for several years that came with both tailstocks. I got tired of tripping over the turret tailstock and sold it to a guy in KS. Well, from what I can see, the 820-1 had a lever action tailstock that would work great for drilling and slotting internal keyways, and the 820-2 had the 5 position turret tailstock with the capstan wheel type handle. There was another 820-21 that came with the turret tailstock, and a double-toolpost cross slide that had a lever on it. All would be cool to have but I can totally see how tripping over them would get old. I've seen examples of all three on ebay lately, so eventually I will pick up a lever tailstock, as it combines both the handwheel feed and the lever action in one unit. Well, looks like I'm stuck with the locking piece I made already-I just got let go at work friday. Company was sold and the whole engineering staff was let go. 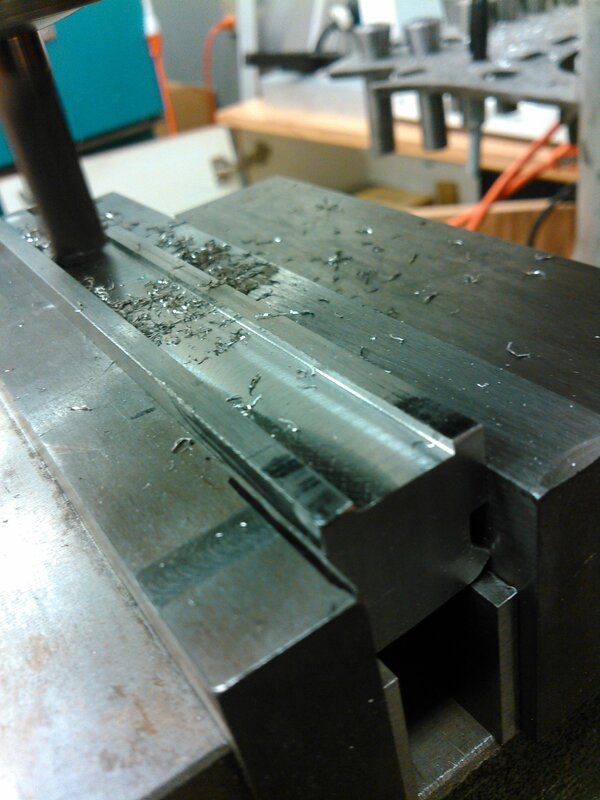 Means I no longer have access to a surface grinder, so I can't remake the locking piece. They couldn't have picked a better time of the year for it could they? I know, there's never a good time. On the bright side, there's such a shortage of workers in this state it won't take long to get re-employed. Won't take long-but isn't gonna happen this year. I've had four interviews and no one is hiring until after the new year. Gotta make that 4th quarter look good...cut wage costs! I did find a mill to borrow to make the T-rails, and my integrated scope rail/bolt hold open block, so I've got that going for me. 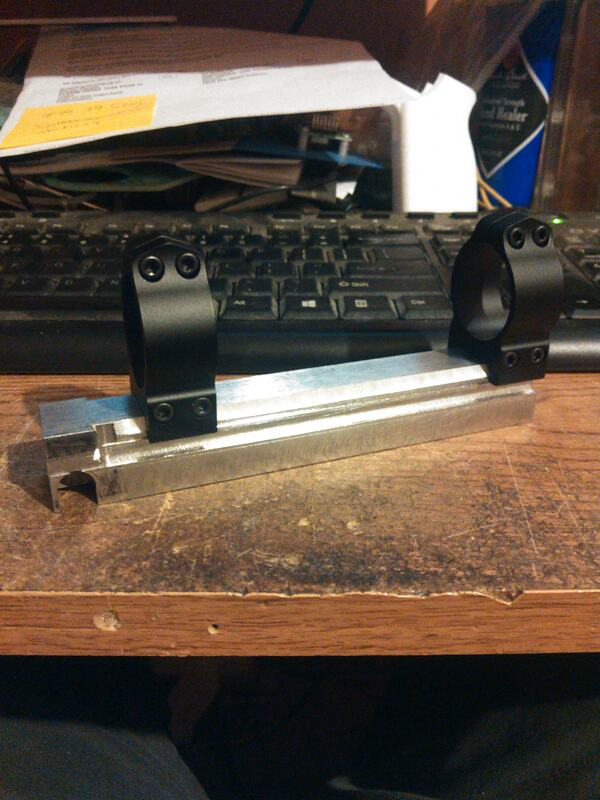 I won't have to cut down and weld up a clunky looking scope rail. Still working on the 3d-prints for the pistol grips and forearms, I've got the grips to fit the trigger frame nicely but haven't got the buttstock integration cuts and the outside dimensions to fit my hand well yet. At least you've got the interviews started! Not sure where you are located but it seems like a lot of the good jobs are around Cincinnati and surrounding area, at least from the postings I've seen on Indeed. I'll be off work from December 19th till the 2nd of January, I need to start looking for a winter project to start working on. 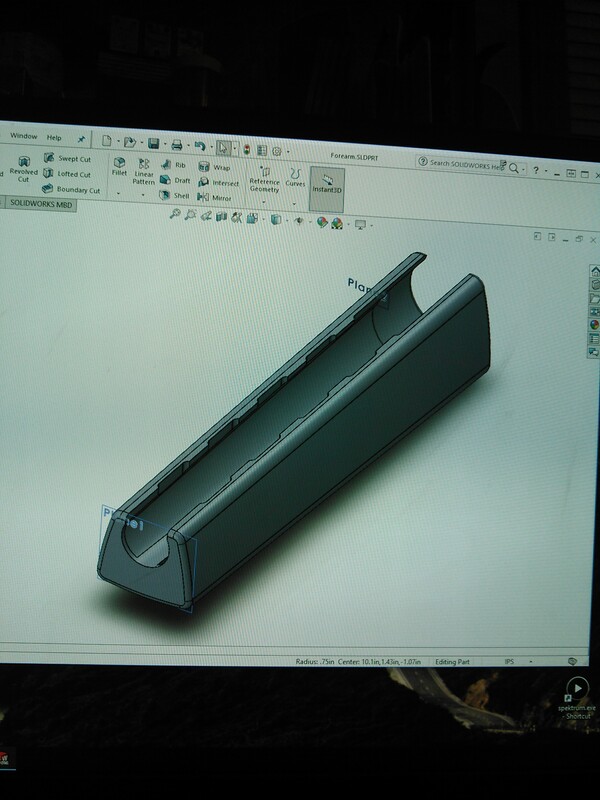 Got this on the 3d printer tonight, it'll finish up early monday morning. After that, about a day of sanding, priming, sanding, painting, polishing, and it'll be ready to mold and cast into the first prototype for the new forearm for the CETME-LDMR. I also worked up a model with finger grooves, but I need to make this one fit first. Next on the list is a 3d printed series of electrodes for cutting in chamber flutes, a single electrode won't make the cut due to the depth needed when using simple electrochemical etching methods. I'm hoping that by printing a series of forms, and by selecting the cut depths and electrode wire diameters, I can tightly control the flute profile and get a quality result. Once I finally got the old Millport trammed out, it can still leave a nice finish with a good tool. Had a failure to print with the forearm, had to start the print over 10 hours in. Tuesday will be the day it's finished printing, now. What model of 3d printer are you using? I've tossed the idea of getting one around. Those parts were printed on a Creality Ender 3, about 160 bucks for one. I am working on building a much larger unit to be capable of larger prints, like this forearm, so I can avoid printing multiple parts and gluing the together. 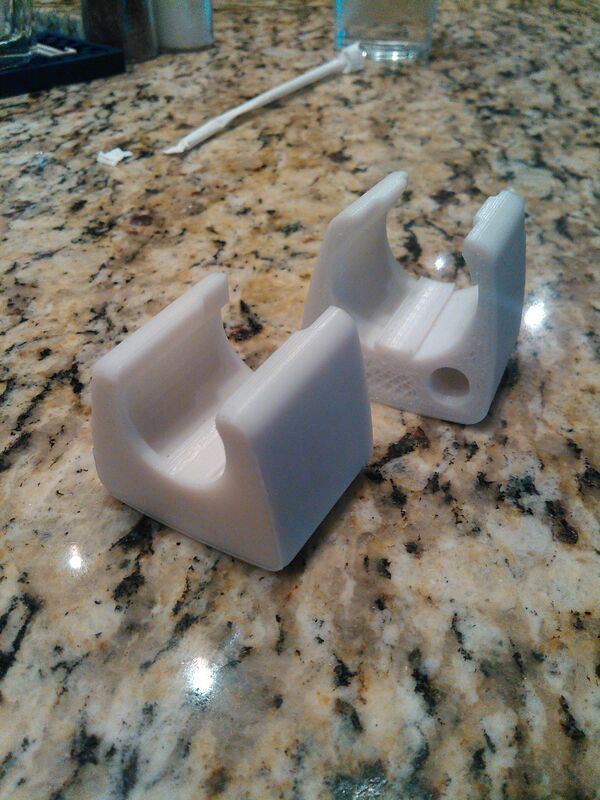 The Creality is printing the forearm in two parts, and I'll pin and glue the two parts together. The problem is gluing PLA plastic, not much will do it other than acrylic solvent glues, diclor and such.